Leased Lines & Business Internet - multiple services over 1 connection - Exponential-e Ltd.
All Internet connections from 10Mbps to 10Gbps have free DDoS Protection. From £245 per month. When it comes to doing business, why wait? You need to be a step ahead of your competition at every opportunity, serving your customers first. Internet access can be fast, but not all Internet access is the same. and Managed Internet services unique? Choose fixed bandwidth speeds from 10Mbps to 10Gbps Business Internet plans with symmetrical upload and download speeds, guaranteed uncontended Connectivity. Our fully managed service provides uninterrupted Internet with our business-only 100GigE core Network. Our installation process is a simple plug-and-play deployment, doing away with expensive hardware and set up costs. Flexible bandwidth management enables you to switch bandwidth up or down and control your Internet traffic. All of our Internet and network services include free DDoS (Distributed Denial of Service) protection against attacks. A DDoS attack can take down online services and cause huge financial burden, and they are on the increase by over 100% year on year. Connection to the Internet is now a business imperative but it is also the biggest threat to businesses today - meaning intelligent cyber security is required now more than ever. When it comes to doing business, why wait? You need to be a step ahead of your competition at every opportunity, serving your customers first . Internet access can be fast, but not all Internet access is the same. Most Internet traffic is routed through three or more different paths between source and destination. 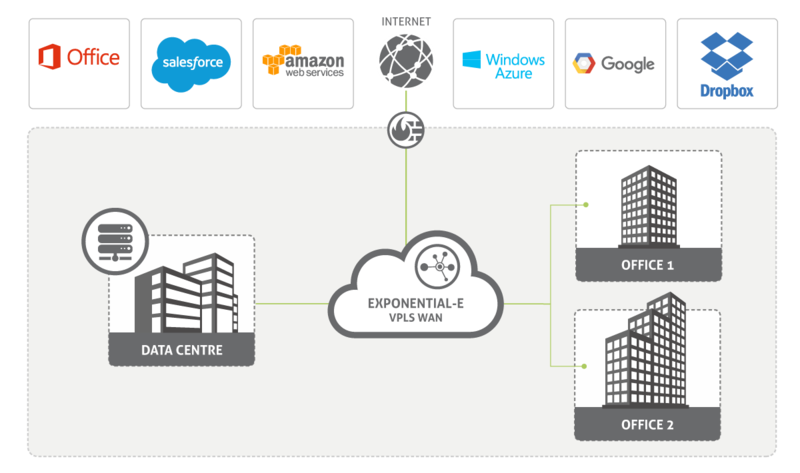 With Exponential-e you connect directly to over 200 peering agreements with SaaS and content providers like Microsoft, BBC, Google and Salesforce. This translates into lower latency and improved delivery of your most important business applications and services. Furthermore our business-only carrier-class Network avoids disruption from consumer peaks in traffic. Our Smart Wires technology allows you to split your connection into multiple secure VLANs to deliver several services over the same pipe, to converge your data, voice, video and applications traffic. Consolidating services across one connection means you get a more cost effective, flatter and easier-to-manage Network. Without a single point of failure by design, Exponential-e’s Business-only resilient core Network gives you maximum availability backed by end-to-end SLA. Our Internet Connectivity is managed by over 100 engineers in our 24 / 7 x 365 UK based Network Operations Centre, and backed up by strict Service Level Agreements. 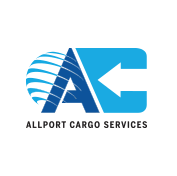 Our Customer first approach means we work as a trusted partner for both future solutions and ongoing proactive support. To get you to where you need to go faster, and in a more secure manner, Exponential-e has extensive peering arrangements with over 200 of the world’s major Internet content and SaaS providers. You are just one hop from your business applications, ensuring the lowest possible latency and best user experience. Our services are both IPv4 and IPv6 compliant. Exponential-e are amongst the leading Internet Services Providers who are actually ready for when IPv4 runs out. Exponential-e delivers end-to-end fibre from your premises all the way to our carrier-class 100GigE Network. Guaranteed levels on latency and packet loss, with financially-backed SLAs, ensure your traffic always takes priority and remains unaffected by consumer peaks in demand for bandwidth. Low latency, high performance, business-only Connectivity with convergence services over one pipe. A Connectivity service that gives you more - Cloud, SaaS, Internet, Unified Communications and WAN services - all delivered through one pipe. Our competitors are unable to match the convergence capability, bandwidth flexibility and the cost savings this gives your business. Enabling a 25 x increase in Network speed for leading accountancy firm. Food Standards Agency appoints Exponential-e to boost connectivity across 220 sites. Discover how we can enable your business to run multiple services across just one Network pipe. As well as a reliable and secure infrastructure, we required proactive support in ensuring our Network provided the business benefits we were seeking. Our day to day business requires a Network that will scale with the business and effectively support our business processes.